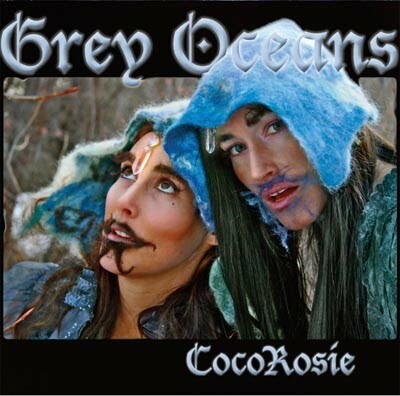 CocoRosie, a duo of sisters otherwise known as Bianca and Sierra, have an album coming out entitled, Grey Oceans. It’ll be out on May 11th via Sub Pop. The album’s first single, “Lemonade,” marries Billie Holiday’s classic angst with Björk’s overt eccentricity. At least that’s the first thing I thought when I heard the track. The piano balladry is beautiful even if the vocals get distracting. In addition to the track, some teaser trailers were posted for Grey Oceans, featuring the sisters as cotton-clad gypsies with a fetish for Conquistador-inspired facial hair. Somewhat pretentious on the level of college film student, but there’s music to be absorbed.